Oil stored in an amber glass bottle. Has a glass dropper and mascara wand. Oil is thick, smells like ground beans, absorbs easily on skin. Grew my lashes, moisturized my skin really well. Oil came in an amber glass bottle with glass dropper cap. Oil has a mild earthy scent and thick consistency. It absorbs easily. It made my eyelashes look fuller and thicker. Cleansed my skin gently too. Free shipping on orders above $65. Came in a clear plastic bottle with press cap. Oil has a dark amber color and thick consistency. It has roasted scent. Reduced breakage for longer hair. Made my eyelashes look thick and full. Full refund on unopened items. Oil came in an amber glass bottle wrapped in tissue paper and bubble wrap. The oil has pale yellow color and thick consistency. The oil helped reduce the appearance of my stretch marks. Free shipping on orders above $35. Money back guarantee. Oil comes in an amber plastic bottle in a box with air-filled plastic bags. The DIY recipes were great. I got so many ideas on how to use the oil. Oil stored in an amber glass bottle. It comes with a glass dropper. Oil is thick but feels silky when applied on skin. It absorbs easily. Made my hair smoother and less frizzy. Helped curb mom's hair fall. Free shipping for orders above $99. Oil came in a clear plastic bottle with press cap. Oil has a clear pale yellow color that has no cloudiness. Has a mild smell. Made my hair softer and prevented dryness after shower. Great massage oil. Free shipping to all APO/FPO locations when purchased from their website. Oil came in a 34-oz plastic container with twist cap. The pale yellow oil has a thick consistency and subtle nutty scent. DIY body scrub that left my skin soft, smooth, and glowing. Oil came in an amber glass bottle and encased in a small Amazon box. Oil has a thick consistency, dark amber color, and a mild roasted scent. It softened my dry cracked heels and may my frizzy hair softer. Free standard shipping for orders above $30. Money back guarantee. Oil came in an amber colored plastic bottle with flip spout cap. The oil is not too thick and absorbs quickly. Free delivery for Orders $59 and over. 100% Money back guarantee. Oil is in a clear plastic bottle. Oil is very thick, has a strong smell. Worked great with massages except for the smell. Free delivery for orders above $25. Money back guarantee. Oil is thick, has no smell. Made my hair feel soft and less frizzy. Free delivery for orders above $35. Money back guarantee. If there is one oil you need inside the house, its none other than castor oil. Castor oil is a multi-purpose oil that has many different uses and benefits for the skin, hair, body, and health. It is also easy to produce, inexpensive, and can be found in most pharmacies and online. All Castor Oil Review love this versatile oil for the many things that it can do that other oils cannot. Its importance in people’s everyday life has coined the name ‘wonder oil’ to refer to castor oil. WHERE DOES CASTOR OIL COME FROM? Throughout history, the castor plant, where castor oil comes from, is known as a plant that has hundreds of therapeutic and medicinal use. People use castor oil in many things including cosmetics and as part of alternative healing methods. In 4000BC, the ancient Egyptians use the oil from the castor plant to fuel their lamps. Cleopatra supposedly used the castor oil to brighten the whites of her eyes. In an ancient Egyptian medical ‘record’ called the Ebers Papyrus, there is a bit about using castor oil as a natural mild laxative. The Greeks also use castor oil as body ointments and for lighting. 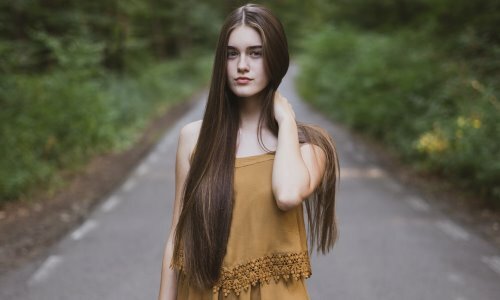 They’re also reputed to have used the oil in improving hair texture and growth. Other cultures that use castor oil in healing rituals include India, China, and Japan. Castor oil comes from the seeds of the castor plant whose botanical name is Ricinus communis. In the past, the plant is endemic in East Africa in the Ethiopian Region. Nowadays they can be found almost anywhere where there are tropical climates and warm temperatures. Throughout the world, you can find castor plant easily. They are distinguishable from other plants by their spiny fruits. These fruits can sometimes be greenish or reddish in color. Inside the fruits are large, oval, bean-like seeds. These seeds are highly poisonous when ingested in large quantities. 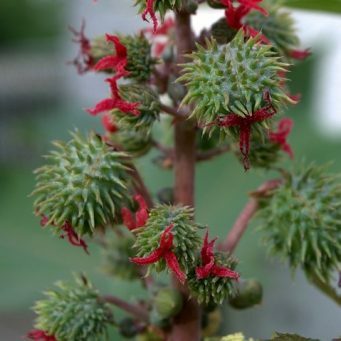 The presence of ricin in the raw castor bean is the one thing that makes it very poisonous. It is said that if you consume 4-8 raw castor bean, you will experience symptoms of ricin overdose. You may feel nauseated, hypertensive, and may exhibit seizures which can continue for at least a week. Without immediate care or when ricin is not extracted from the body in time, poisoning via ingestion of raw castor bean could lead to death. Castor oil is taken from the beans of the castor plant. If you are worried about poisoning, don’t be. Commercially available castor oil is safe for use. The low heat generated during the production of castor oil has already deactivated this deadly protein that causes poisoning. This makes castor oil safe for use. Advocates of natural healing would often look to castor oil whenever they feel constipated. Castor oil is a known mild laxative and purgative, which can effectively treat constipation by helping you with your bowel movements. It also helps regulate your bowels so you will feel less constipated in the future. Make sure to use castor oil in small doses and only for short-term relief. If castor oil was not able to relieve your constipation problems, it may be time to consult a doctor. When used in a massage, castor oil can help relieve arthritis, joint pain, and lower back pain. Some people are unable to tolerate the smell of castor oil so they mix it with aromatic oils such as lavender and coconut oil. You can also use the oil to get relief from headaches and migraines. Simply massage the oil in the affected area and wait for its healing powers to take effect. Castor Oil can also be used when treating minor wounds and cuts. Its anti-microbial and anti-bacterial properties can help protect wounds from infection. This can speed up healing and lessen the appearance of scars. Apply a few drops of the oil on your wound and repeat as needed. As Part of an Oil Cleansing Method – Mix castor oil with a light oil such sweet almond or jojoba oil. Apply the oil mixture on your face and leave on for a few minutes. Wash with lukewarm water or wipe away with a towel soaked with lukewarm water. You’ll see that you have gotten rid of blackheads and other impurities in your face. The oil deep cleans the pores to pull out particles that can clog pores and cause breakouts. To Erase Fine Lines and Wrinkles – Stimulate the production of collagen and elastin when you apply this nutrient-rich oil on the areas of your face where wrinkles and fine lines often appear. Collagen and elastin both contribute to the production of new skin cells. When new skin cells replace old skin cells more often, you end up looking youthful. Fine lines will be diminished giving you a softer, smoother appearance. As a Moisturizer – the oil’s vitamin E and fatty acid content make it a great all-natural moisturizer that is free of parabens, sulfates and other harmful chemicals. Say goodbye to dry, flaky skin and say hello to soft, supple, and even out your complexion. Castor oil, as stated earlier, is an oil that people would often ingest in small doses to use as a mild laxative. Just make sure that the castor oil is food grade before taking it in. Experts recommend that you seek the advice of a physician before trying to ingest castor oil. This is especially true for pregnant women as castor oil may induce labor. Castor oil can also result in diarrhea and stomach pain when ingested in large quantities. This can lead to dehydration and cramps. Castor oil is generally safe to use on skin. Some people who have extremely sensitive skin may experience irritation when using this product. Prior to using it as a moisturizer, for example, it is recommended that you do a patch test on a small part of your skin to see if you will have an allergic reaction to the oil. If you start getting a rash or your skin turns red, discontinue use. Castor oil makes a great at home remedy in place of expensive medicine and beauty products. It can do so many things, which not many oils can do. Just remember to use the product with caution. Never ingest more than the recommended amount. All Castor Oil Review tries and tests out many different brands. It’s a given fact that not all of them can make it to the top ten even if they are also good brands. The brands under Special Mentions may not have made it but they are still worth the mention. These are still considered as great brands that did alright with the tests that All Castor Oil Review has conducted. Got rid of dandruff and moisturized my skin. It worked great on both. Oil came in a clear plastic bottle. Came with a pump top. No indication of free delivery. One year money back guarantee. Used it to soften my callused soles. Worked well with massages. Oil is very thick, has very little smell. Free delivery for orders above $25. It made my eyebrows grow thicker and my hair more manageable. Oil is very thick and has no unpleasant smell. 5 mascara wands, 5 eyeliner brushes, and a glass dropper. Free delivery for orders above $35. No indicator of money back guarantee. Oil is not too thick but not too thin either and has very no smell. Free delivery for orders over $25. No indicator of Money Back Guarantee. 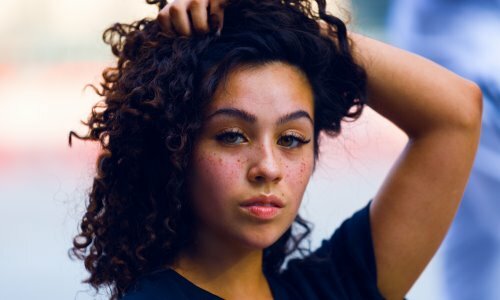 These are the castor oil brands that didn’t quite make the cut. They have not met the criteria that All Castor Oil Review has set and may need to make changes to their product. You will find information on what made the oil disagreeable and what areas need to be changed or improved. You will also find out the various reasons why that particular brand of castor oil received a lesser rating. Did nothing for my eyebrows but worked well as a moisturizer. Oil came in a big brown box. Amber glass bottle has a tamper proof seal. Watery consistency, has strong citrus smell. Free Shipping on orders over $25. 30-day money back guarantee. Got rid of my dandruff but left my hair and skin dry. Oil came in an amber glass bottle and glass dropper top. Oil is thick and does not have an unpleasant smell. Free shipping for orders over $35. Money back guarantee. Used it to mix with other fragrant essential oils. Oil was plastic bottle placed in a big box with small inflated plastic. Oil is very thick and does not have smell. Free shipping for Amazon Prime, no indicator of money back guarantee. I used it as a hot oil treatment. I ended up with oily hair. Oil came in a clear plastic bottle and a funnel-shaped top. Oil is very thick and has a strong smell. Free delivery for orders over $35. No indication of money back guarantee. 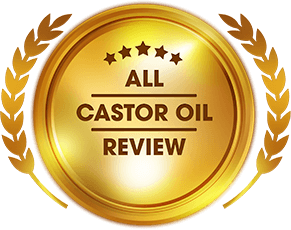 All Castor Oil Review is your number one source of unbiased reviews about castor oil products available in the market today. Here you’ll get all the good, the bad, and even the ugly side of castor oil based on actual product testing. Get all types of information about any brand of castor oil. 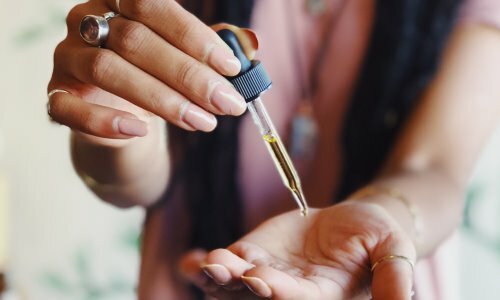 From the packaging, quality, and different uses, you’ll a deeper view of any particular castor oil brand with the help of All Castor Oil Review. The best castor oil brands will get a score of 10 and will get the most coveted top spot in the Top Castor Oils list. The top products will also get the All Castor Oil Review Trusted Quality Seal of Approval.